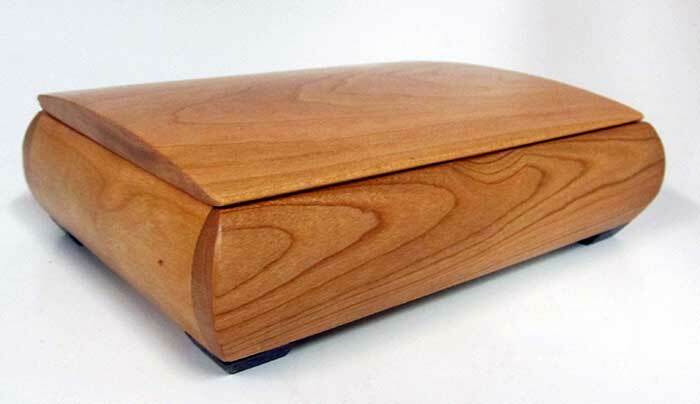 Handmade small desk box by Mikutowski Woodworking in cherry (shown) with wenge feet. 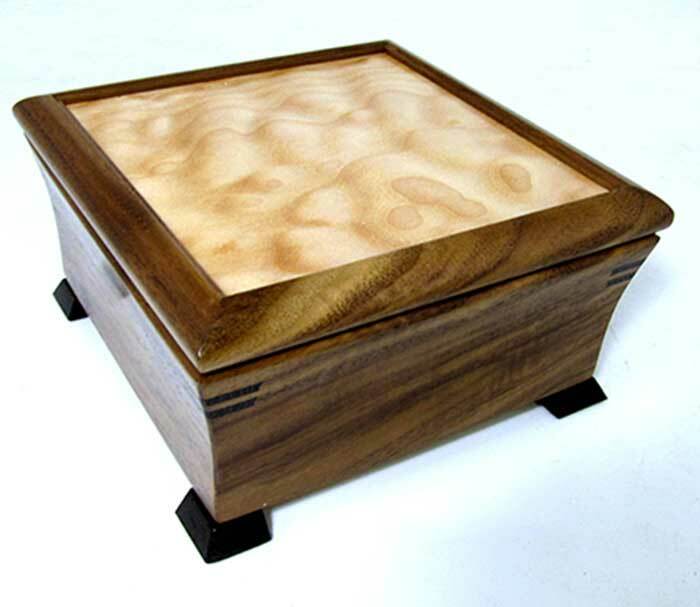 Also available in curly maple, padauk and purpleheart. Size: 6.5" x 4.625" x 1.625"